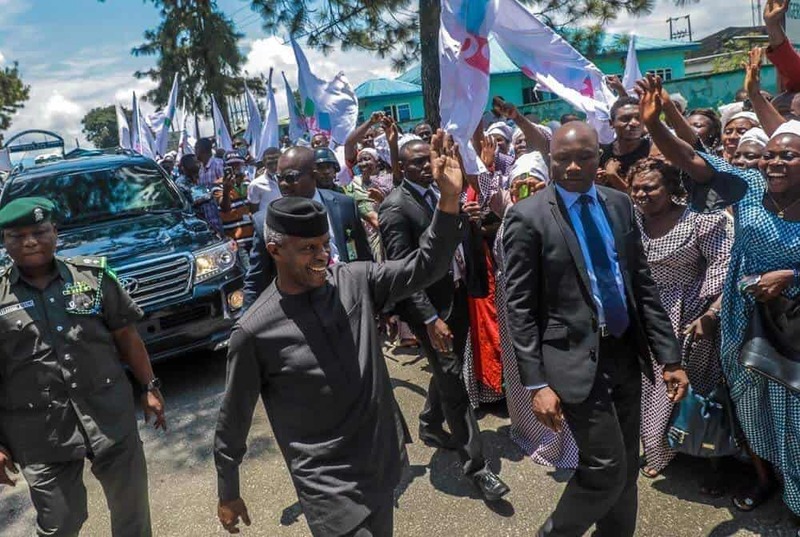 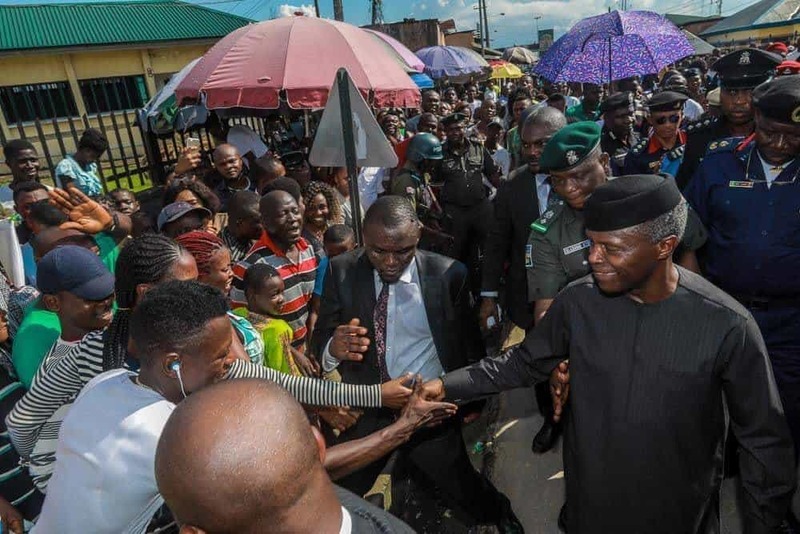 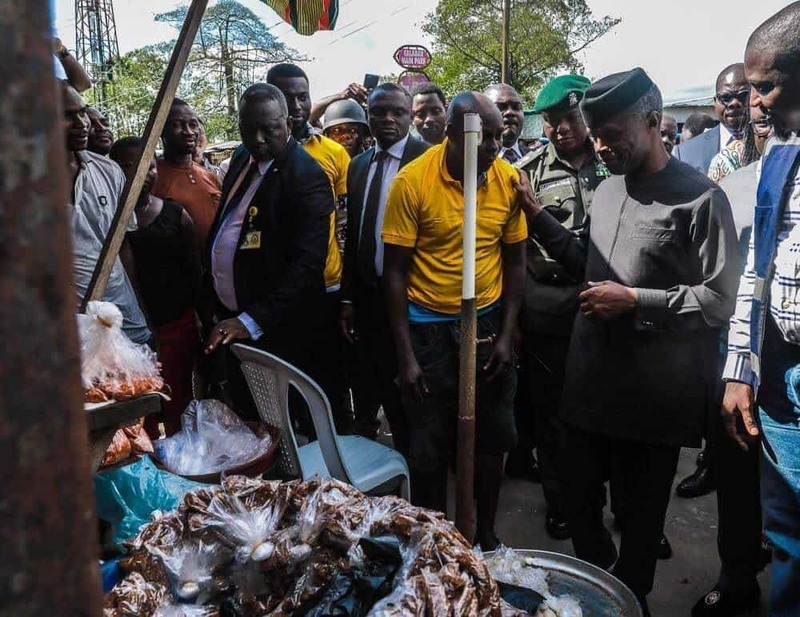 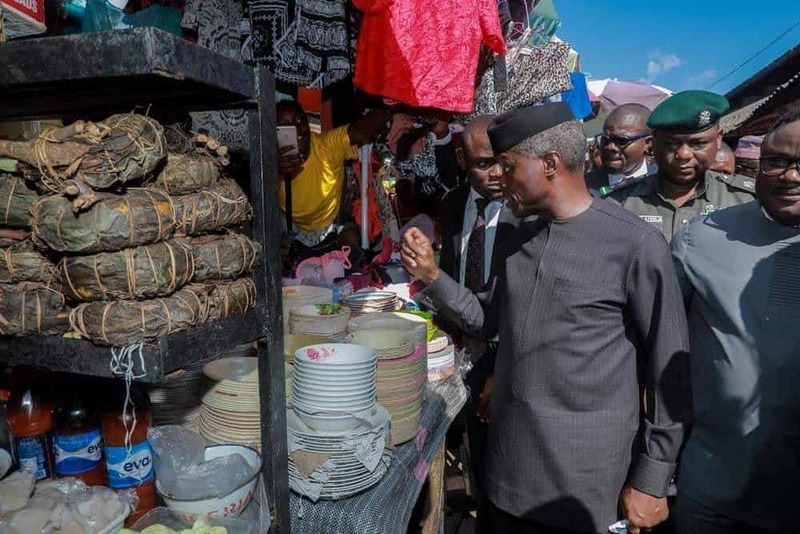 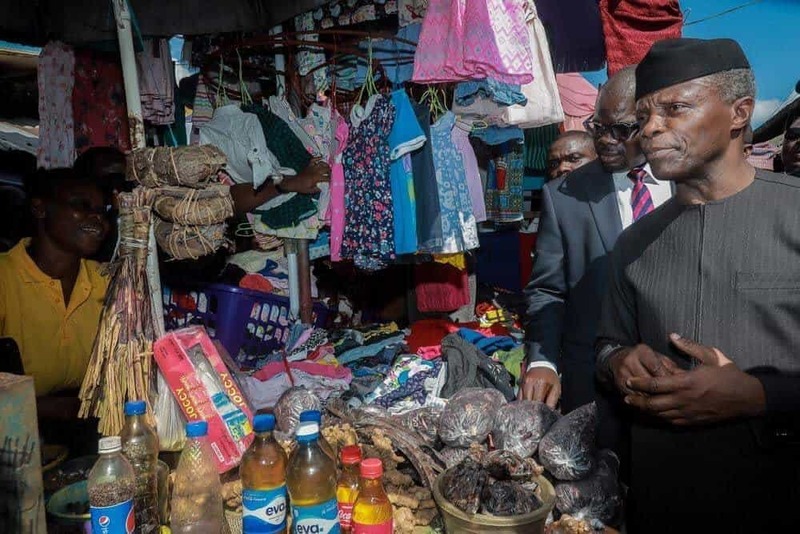 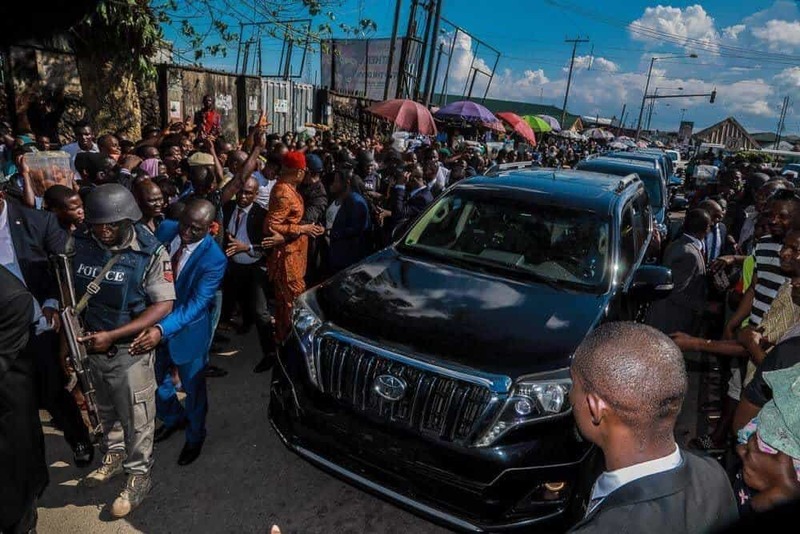 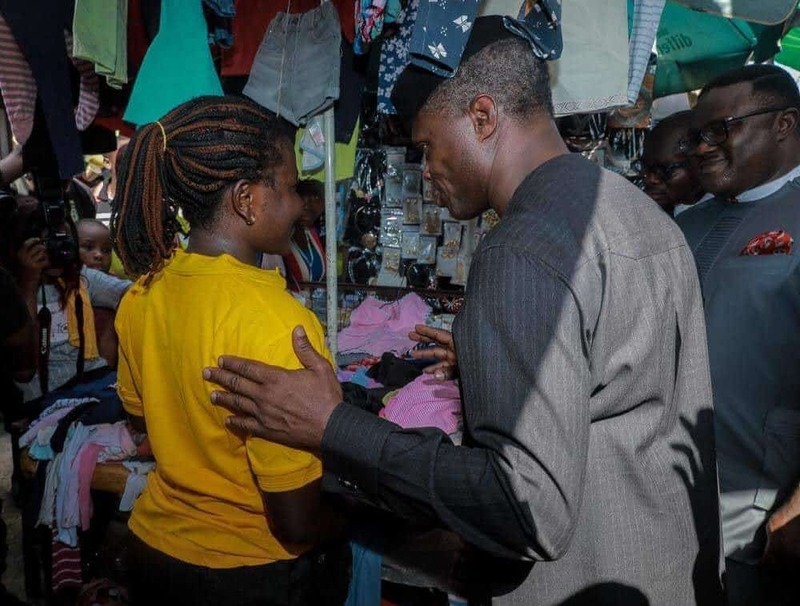 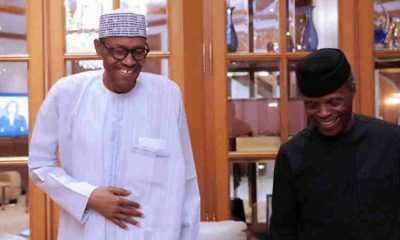 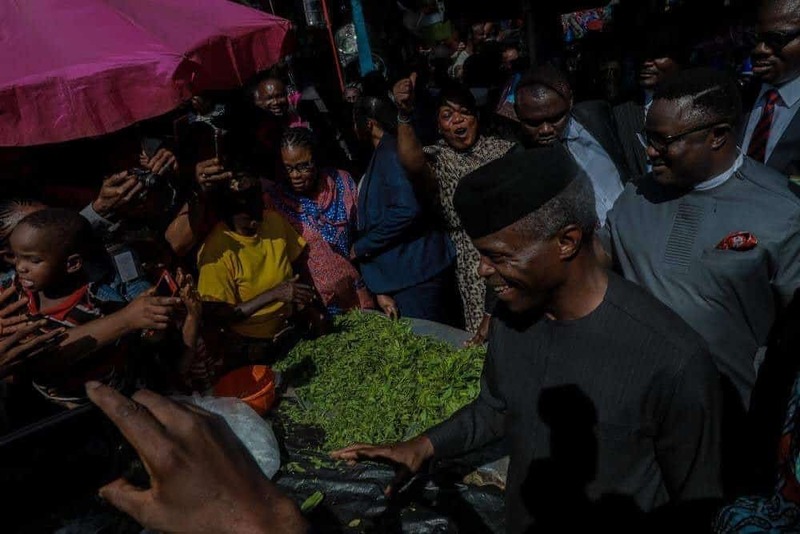 Vice President Yemi Osinbajo, today Wednesday, visited Calabar the Cross River State capital to launch the market moni scheme for petty traders in the state. 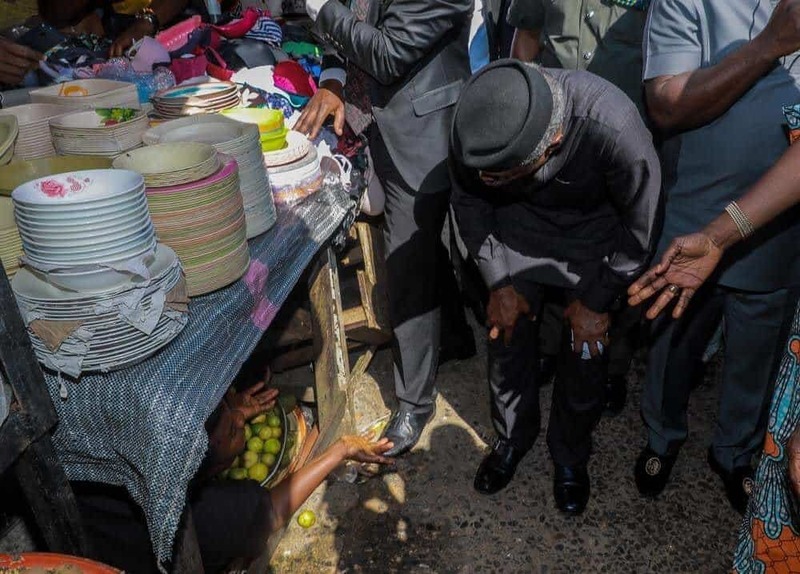 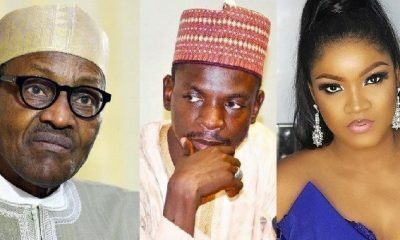 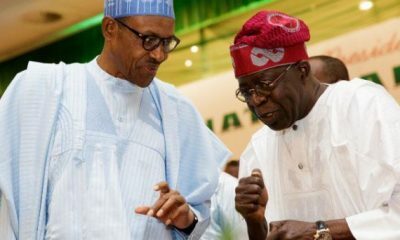 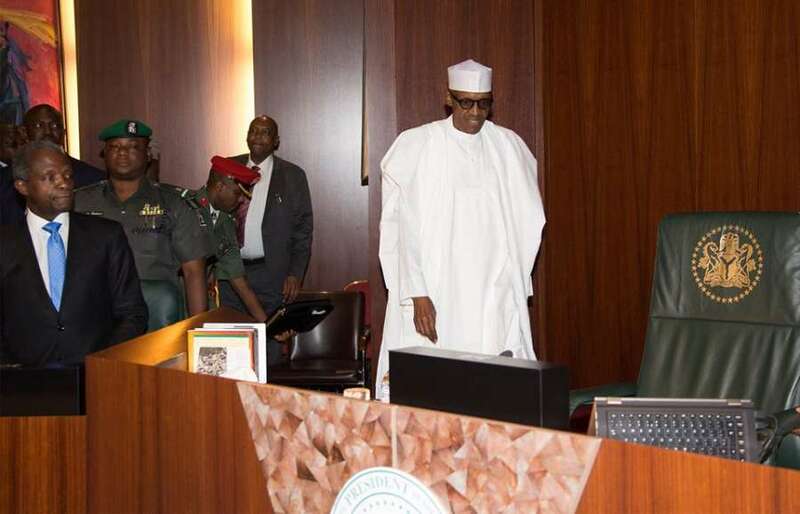 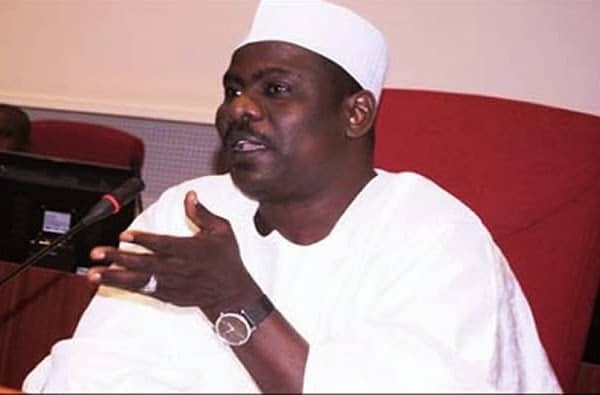 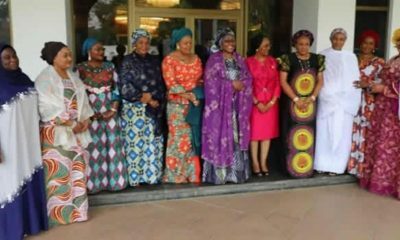 The scheme is under the Federal Government Enterprise and Empowerment Programme (GEEP). 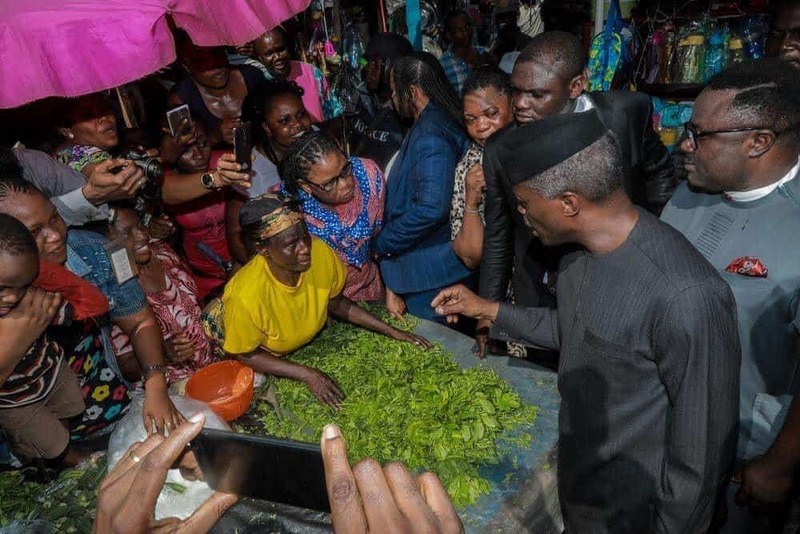 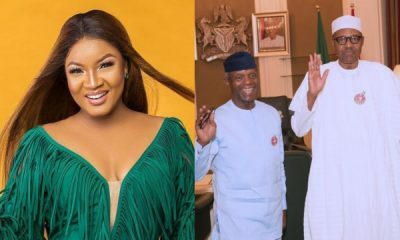 Naija News reports that as at May 2018, #MarketMoni scheme has successfully reached over 350,000 micro enterprises in all 36 states of Nigeria, and the Federal Capital Territory. 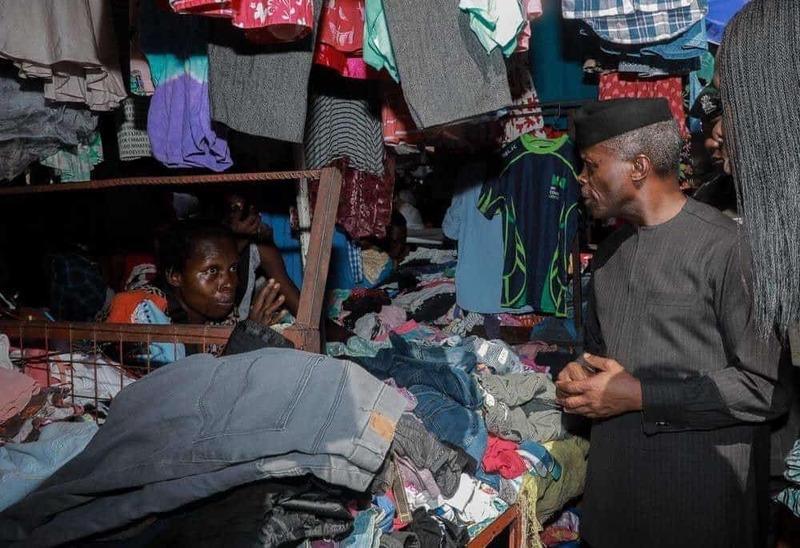 Osinbajo also met with some beneficiaries of the Federal government’s GEEP under the Social Investment Programme. 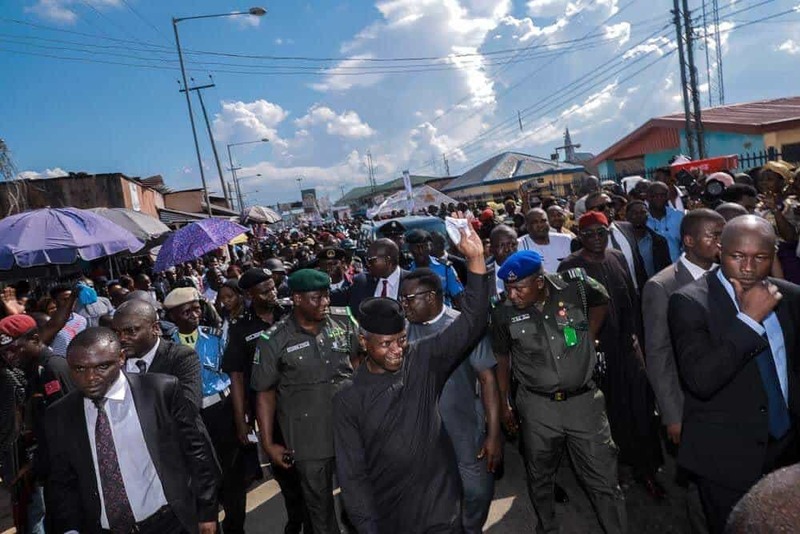 Cross River governor, Prof. Ben Ayade, accompanied the Vice President on the visit.